We have negotiated discount arrangements with a range of organisations that can be used by our customers. If you would like any further information about any of these please just get in touch. Explore the spectacular sights of Edinburgh and beyond with affordable private day tours which are tailored especially for you and delivered by I Love Edinburgh Tours. Sit back and relax while they transport you to see the hidden gems of Scotland and let you enjoy bespoke tastings of the celebrated Scottish food and drink produced locally. Quote Discount Code Celtic10 when booking to obtain 10% discount. Discover what life was like on board Her Majesty’s floating Royal residence. You can follow in the footsteps of world leaders such as Sir Winston Churchill, Nelson Mandela and Rajiv Gandhi. 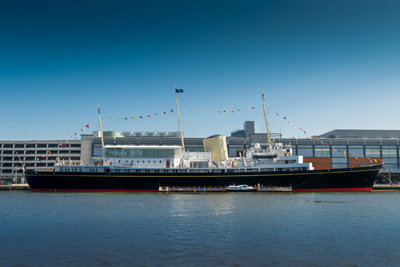 Now The Royal Yacht Britannia is a five-star visitor attraction and a must see place to visit in Edinburgh. This famous ship is in the Top 5 UK Landmark Attractions (TripAdvisor 2018-19) and has consistently been judged Scotland’s best visitor attraction by national tourism agency, VisitScotland, for twelve years’ running. 10% off for up to 5 people. Not valid in conjunction with any other offer. No cash alternative. Please contact Celtic Legend for the discount code which can only be used at the ticket desk and not online. If you don’t want to follow the crowds, a Scottish Routes scheduled tour is for you. Meet, eat and drink with the locals, discover Scotland’s best kept secrets and let them show you the Scotland they love. Scottish Routes are a completely Scottish-owned and registered company. Their passionate, local team have a huge amount of knowledge about Scotland and will help you to get the most from your holiday. 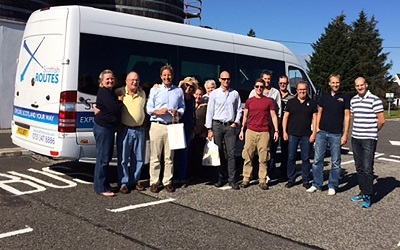 They have fully trained, friendly, Scottish drivers and guides who are passionate about exploring Scotland with you, and can’t wait to share their knowledge and enthusiasm about our beautiful country. 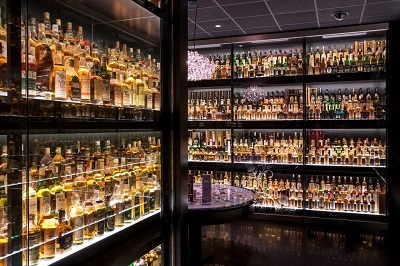 The five-star Scotch Whisky Experience is one of Scotland’s top award-winning visitor attractions. DISCOVER the whisky making process with our resident ghost, as he takes you on a bubbling barrel ride through our replica distillery. DELVE into the history and alchemy of blending the perfect Scotch whisky. EXPLORE Scotland’s five Scotch whisky producing regions and learn how geography and weather combine to create regional characteristics, aromas and flavours. ENJOY a guided tasting of your chosen Scotch whisky within The World’s Largest Collection of Scotch Whisky (non-alcoholic option available). INDULGE your newfound passion for Scotch whisky within Amber Restaurant, coffee shop, whisky bar and gift shop. 10% off Silver/Gold Tours – maximum seven people, pre-12:00, Monday-Sunday only. Available in 20 languages. Not valid in conjunction with any other offer. No cash alternative. Please contact Celtic Legend for your discount code which can only be used at the ticket desk and not online. Create a lovely memory in tartan of your visit to Edinburgh with local artist Fiona Mackechnie. 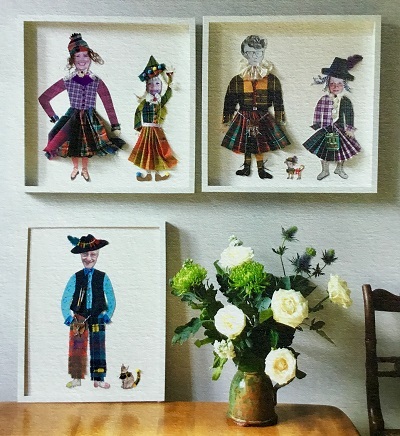 Fiona loves doing tartan folk workshops with kids and adults, guiding them in the creation of their own tartan persona, starting off with a portrait photo of themselves which is then superimposed onto a template figure. It’s a very relaxed activity with lots of lovely tartan fabrics, laces and other embellishments on hand to decorate your characters with and can be as wacky, funny or beautiful as you like. Kids and adults alike love creating these characters and Fiona is always amazed by their creations. The finished art work would be a lovely souvenir to take home from your visit to Scotland. Much more personal than if you buy a tartan scarf from a gift shop! Fiona can offer this activity to a family or small group at her studio in Edinburgh. When you contact Fiona just quote Celtic Legend to get a 10% discount on your workshop.